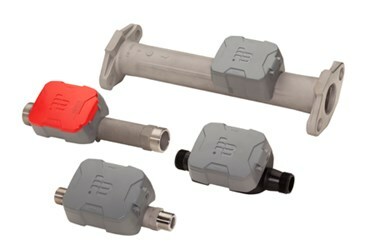 E-Series Ultrasonic water meters from Badger Meter use solid-state technology in a compact, totally encapsulated, weatherproof, and UV-resistant housing, suitable for residential and commercial applications. Equipped with an easy-to-read, 9-digit LCD display, the Ultrasonic meter presents consumption, rate of flow, reverse-flow indication, and alarms. With no moving parts, the E-Series meter also improves reliability and has greater extended low flow accuracy compared to other positive displacement meters; accurate to +/-3%.